Pratical Boat Owner: If you are cruising in Italian waters and have a tender and outboard motor, you may need to change your insurance details immediately or risk being fined, the Cruising Association (CA) advises. An Italian government body ISVAP (L’Istituto per la vigilanza sulle assicurazioni private e di interesse collettivo) or (Institute for the supervision of private insurance and collective interest) is requiring a new yacht liability certificate of insurance (blue card) for boats which takes immediate effect. This is the Liability certificate that is in Italian and is provided by your insurer when cruising in Italian waters and which proves that you have compulsory liability insurance in place. The only changes to the old liability certificate is that it now formally requires the serial number of the tender and the outboard and boat skippers can be fined if they do not have the correct documents. The new wording from the Italian government has already been implemented by Lloyds of London and through Lloyd’s Italy. CA member, Rob Stevens, MD of Topsail Insurance, said that even prior to the new ISVAP requirement, some of his clients had already been fined for not having the tender and outboard serial numbers noted and he was immediately issuing the new updated Italian document that complies to the amended regulations. Motorboat & Yachting: Sealine dealer of the year Thames Boat Sales have announced that they will be opening a new office on the South Coast next month. Thames Boat Sales looks set to outgrow its name, after the Sealine dealer of the year announced plans to open a third office. The brokerage, which is currently based in Bray and Penton Hook, will be opening a Southampton office at MDL’s Mercury Yacht Harbour on 1st of September 2015. 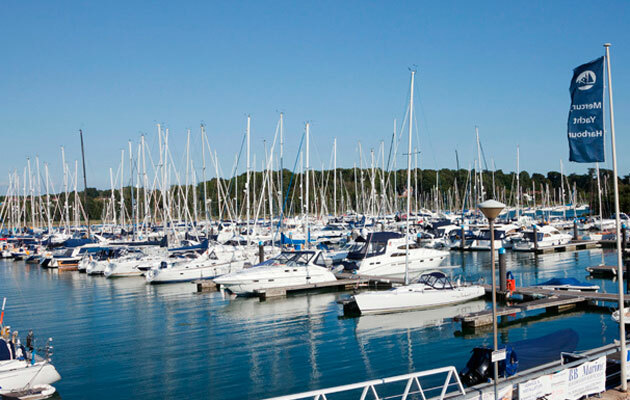 The new premises gives the firm a base on the River Hamble from which to sell models from the likes of Aquanaut, English Harbour Yachts, Sheerline and Sealine. In addition to these four key brands, the firm hopes to add a sailing yacht partner in the near future. Heading up the new operation will be Alexander Legge, who previously spent eight years as head of sales at Mercury. Motorboat & Yachting: The semi-custom yard have confirmed that the Luxman Bullet dayboat will be making an appearance at the Southampton Boat Show 2015. Luxman Craft will be making their Southampton Boat Show next month (11-20 September) it has been confirmed, with the Luxman Bullet dayboat going on display. The new model, which has only made a handful of public appearances so far, should attract plenty of visitors to the Luxman exhibit on Stand M208 with its distinctive styling. The Luxman Bullet is a 20ft bowrider design by Andrew Morgan, and his automotive background is clear for all to see. 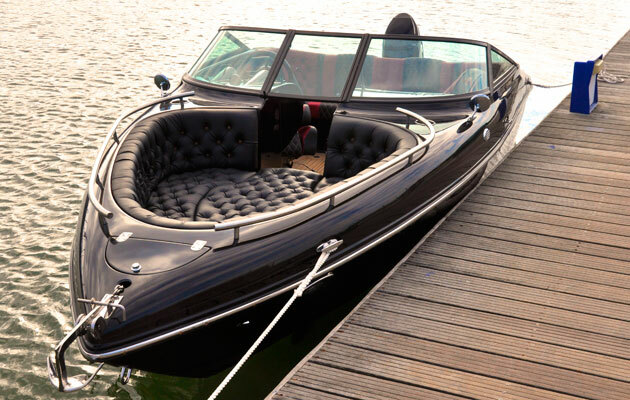 Andrew has previously worked with Colin Chapman (founder of Lotus) and cites the Aston Martin DB9 and the Jaguar E-Type as the inspiration for this sleek dayboat. This connection is reinforced by the Bullet’s performance, with the company promising that the 24-degree deep-vee hull can hit a top speed of 54 knots, when twinned with the most powerful 150hp Suzuki outboard option. However, for those looking for a more affordable dayboat, Luxman will fit the bullet with a 70hp Suzuki, bringing the entry-level price down to £28,000 on the water. Key features include swivelling helm and navigator seats and a choice of three interior layouts, giving total seating space for up to eight people. The list of optional extras includes a water sports package, underwater lights, transom shower, 30l drinks cooler, and a completely customisable interior design, hence the claim that this is a semi-custom dayboat. 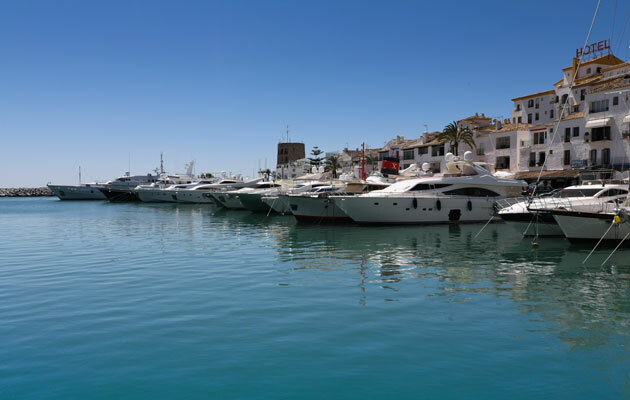 Yachting Boating World: Changes to visa regulations for non-EU boaters are being sought in a bid to boost the economy. Cruising Association member Kingsley Ross believes changing visa regulations for non-EU boaters will help boost the economy. 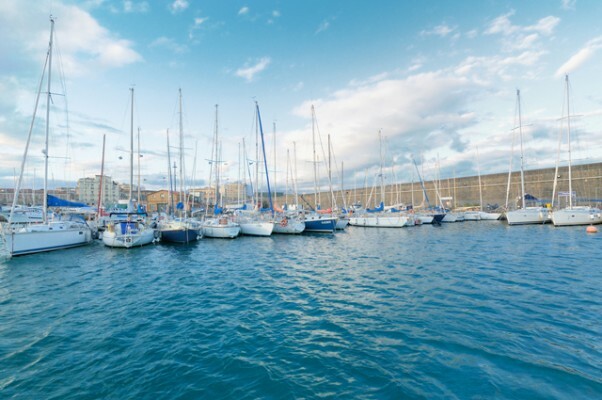 With sailors from outside the EU limited to cruising in EU waters for just 90 days out of every 180, Cruising Association member Kingsley Ross believes this is forcing boaters to spend more money in countries outside the Schengen area. A proposal to introduce a touring visa that allows visitors to remain in the EU for longer periods of time solely for tourism purposes was proposed by the EU, however legislation was never passed. Kingsley Ross has started a survey to find evidence of the number of people affected and the potential financial loss to EU countries. Kingsley Ross said: “The European Union is considering legislation that could permit cruisers, and others, to obtain a touring visa that would allow cruisers to remain in Schengen countries for up to a year with the possibility that it could be renewed for a second year. 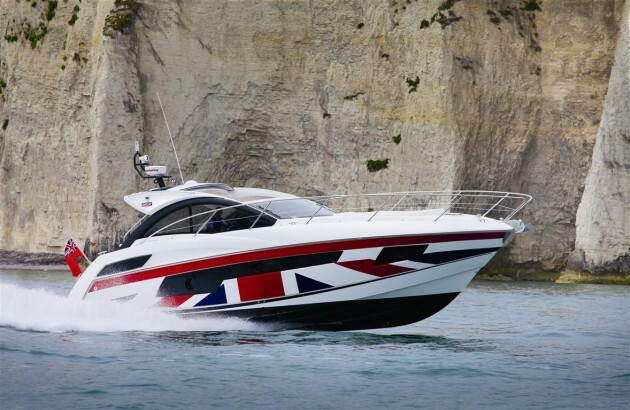 Motorboat & Yachting: Three men were arrested last week after sneaking into the country on board a brand new Broom 35 Coupe. Bushnells Marina was the site of a dramatic escape last week, when three stowaways fled from a brand new Broom 35 that was being delivered. Two men in their 20s from Pakistan and a man in his 30s from Iran leapt from the coupe when the transporter lorry stopped outside the West Berkshire marina. The driver immediately called Thames Valley police who successfully tracked down and arrested the suspected illegal immigrants. It is believed that the men snuck on board the brand new Broom 35 while it was being transported across the channel on a car ferry. Broom have promised to take the boat back to their Brundle facility to be cleaned up and returned to pristine condition, after drugs and dirt were found on board. The Broom 35 in question had crossed the Channel to take part in the launch of Broom’s French office in Port d’Auxerre, Burgundy last month. New owner Ian Tritton told the Henley Standard that although he was satisfied with Broom’s reaction to the incident, he was “annoyed” that Border Control had allowed this to happen in the first place. “Given the situation in Calais, these guys have obviously been spreading around ports in France looking for a way to get across,” Mr Tritton told the local newspaper. Yachting Boating World: A new app has been launched which allows you to see where friends and family are out on the water has been launched by marine technology startup Swell Advantage. First location based social network for boaters combining the ability to identify family and friends out on the water with navigation tools. The app, launched last month, is compatible with iOS and can be downloaded from the app store for free. The Swell Advantage app is designed to help build boating communities by allowing people to see where others are on the water, see when friends get onto their boats, and gives family members peace of mind by allowing them to track their loved ones. Boaters’ locations are hidden while on land, and users can turn off the ability to be seen by their friends while on the water. “In talking to our customers and having spent a lot of years out on the water, we have really just tried to design a product that fits our customers needs, fits their lifestyle, and helps them navigate and make decision,” said Swell Advantage co­founder and CEO Iain Archibald. The Swell Advantage suite of navigation tools aim to re­imagine the navigation interface making it more intuitive and easier for the recreational boater. Using an innovative Navigation Ring, Swell Advantage strategically places the critical pieces of information needed by an operator, in a manner that is available and readable at a quick glance. 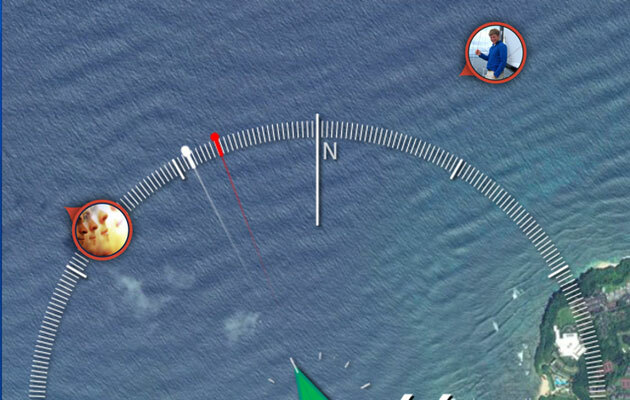 Swell Advantage provides the operator with standard features like boat speed and heading, and also unique features like a real­time radial scale and a visualization of drift affecting the boat. You can download Swell Advantage for free in the Apple App Store, with an Android version expected later in 2015. 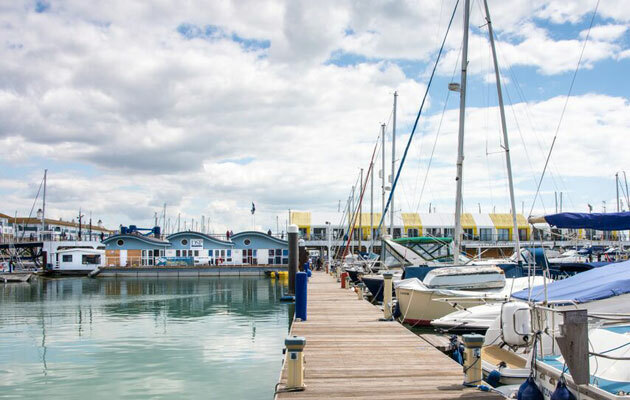 Yachting Boating World: Brighton’s new floating yacht club will open its doors to the public in September after being manoeuvred into position in July. 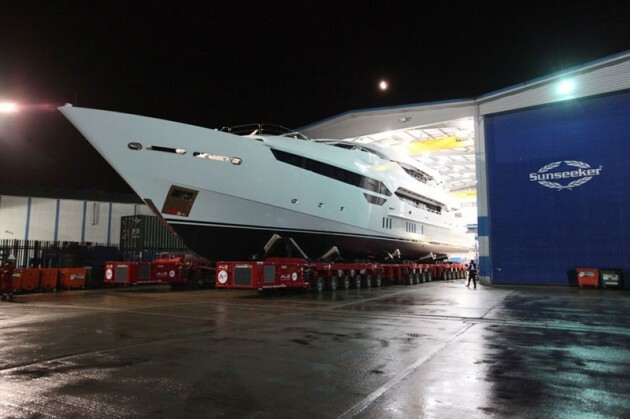 The floating yacht club was recently towed into position at its new home in Brighton Marina. With a new state-of-the-art building offering a series of ‘Club Class’ introductory racing sessions and plenty of refreshmens, it’s set to become a social hub in the popular Premier Marina site. The new yacht club is located between pontoons 6 and 7, off the western concourse and next to the Lagoon Watersports office. One of the UK’s largest floating buildings, at 3500 sq ft, the yacht club’s relocation and regeneration is the result of a Brunswick Developments, Intermarine and Premier Marinas collaboration. Brunswick Developments have covered the construction funding while Intermarine are behind the building and creation of the unique yacht club and its floating platform. The team at Brighton Marina Yacht Club (BMYC) have been working tirelessly to complete the project ready for its September opening. 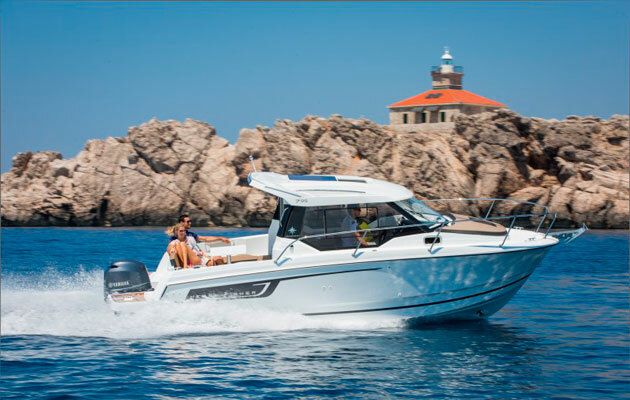 Motorboat & Yachting: The new Jeanneau Merry Fisher 795 will come with a flexible layout and up to 200hp of power on tap. The first pictures of the brand new Jeanneau Merry Fisher 795 have been revealed ahead of its debut at next month’s Southampton Boat Show (September 11-20). Sporting a highly flexible layout, this new model will come with a double cabin below decks, as well as a convertible lounge area that can be made up into a second double berth. Engine options are yet to be revealed, but the hull has been rated to a maximum of 200hp, which should propel this 24ft hull to a sporty top speed. Some other key features include an opening sunroof, compact heads compartment and a cantilevered helm seat that tilts forward to provide better access to the rear galley area. Meanwhile the cockpit and front sunpads provide sufficient space for a crew of four to soak up the sun. 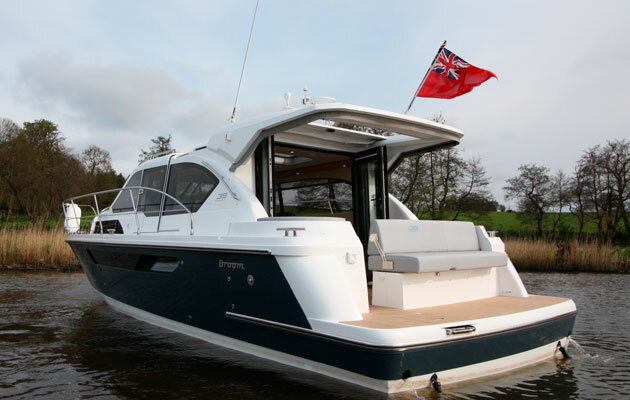 The new Jeanneau Merry Fisher 795 will go on display at Mayflower Marina next month as part of the Southampton Boat Show 2015.